O’Flynn Medical are delighted to showcase ScrubEx at this years INMO Operating Department Nurses Annual Conference on 24th & 25th March 2017. 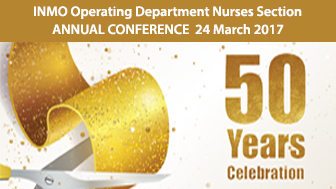 This is the 50th Celebration of the Operating Department Nurses section and will take place in The Crowne Plaza Hotel in Santry, Dublin 9. Delegates will have an opportunity to use ScrubEx on the day and see for themselves how ScrubEx can improve efficiencies within the Theatre Department. Be sure to pop by to say hello to Conor and Hugh and find out how you can win a Luxury Hamper.